James Baldwin beside a statue of William Shakespeare in the Albert Memorial, London. Photo by Allan Warren, 1968. Author James Baldwin once said, “American history is longer, larger, more various, more beautiful, and more terrible than anything anyone has ever said about it” (‘A Talk to Teachers,’ Saturday Review, December 21, 1963). That same driving admiration for all history has to impart is what compelled Polybius in his masterful Histories (covering the Punic Wars between Rome and Carthage), showing that what is relayed must be truth if it is to retain value. But, as Polybius understood, truth does not preclude relaying the good and bad together, omitting neither if the student is to gain anything close to an accurate and honest perspective on history, with all its delightful interconnections. Omission: A Greater Crime in History? Christopher Columbus’ motivations and deeds merit Christian charity even now, more than five centuries later, not because he executed them flawlessly (for none have!) but because he appealed to better standards than the norm, the mean, the average prevailing all around him. “Might makes right” had distorted human relationships and their proper reverence for God, Columbus believed. The very concept of “might makes right” was anathema to him. He resolved to sow something better with God’s blessing. He sought new land not for its own sake but for the souls of the people he had faith were there (a faith few shared, since most believed the places Columbus would reach were uninhabited and un-navigable). Columbus not only thought about the people he would encounter as “souls” but as individuals worth knowing. He sought gold and silver not for their own sake but for the support of causes he regarded as sacred. If we meet his reverence with our contempt simply because we dismiss his particular religion, do we intend to enlighten those with whom we disagree through our disrespect for them? We often reach a very false conclusion when we assume the reverence others have for what is holy is nothing more than mere hypocrisy. We would do well to refrain from irreverent cynicism if we are going to be as broad-minded and liberal-hearted as we perceive ourselves to be. Columbus sought to apply standards fairly which meant meting out punishment even to his own if they should mistreat a native. It also meant holding natives to account (Carib targeting Arawak, for example) should they do the same to others. He insisted upon reasonable expectations, honoring the existing hierarchy of the chiefs over their own people not Spanish taskmasters as the hidalgos instituted in his absence. It was in his absence as an explorer, that they – as the Israelites did Moses – cast his standards aside to greedily enact the very things he abhorred. Condemning ‘Undesirable’ History: Guilt Collective or Personal? 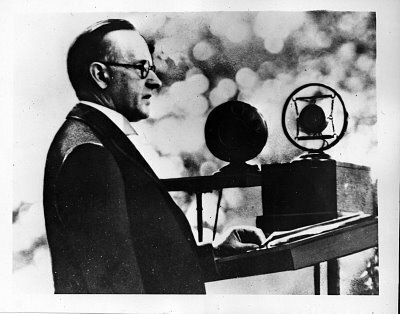 Rather than recognizing, as Coolidge would again later say, “guilt is personal,” Columbus is held not only to atone for crimes he punished among colonist and native alike but for effects none could completely and flawlessly control then or now: the actions of other individuals, including the transmission of deadly diseases, the far-flung results that remain colorblind to this day but which struck on both sides of the Atlantic when Europeans were still among the weakest, least advanced civilizations in the world. 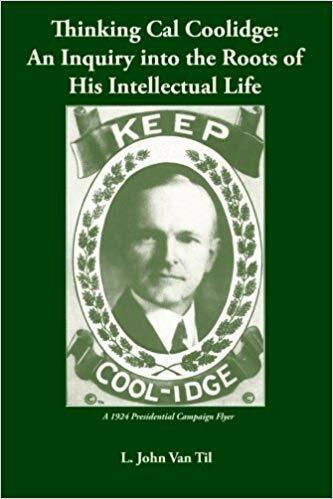 Coolidge, as usual, has a way of bringing the point home, clearly into focus. The discontent that defaces monuments, topples memorials, and creates disturbances at this or that “privilege” demonstrates that ideals still matter but without perspective and a mature sense of proportion, ideals become twisted and unfulfilling. It does no one any benefit and becomes equally as condescending to attribute one person’s success on the basis of color or gender when individuals of all backgrounds struggle, work hard, suffer, fail, succeed, and face the same decision about it all: to get about the task of living fully or surrender to the slow, steady despair of a victim of circumstances. Columbus had to work for his idea, nothing he achieved fell to him automatically, a fact the revitalized Klan grasped only too well as it was Columbus’ example which inspired those deemed most harmful to the Klan’s way of life: the immigrants and Catholics coming to America at the turn of last century. No praise could be allowed among Klan members for the foci of their hatred and malice. The same spirit works now. No good can be suffered in anyone marked an enemy. It is forgotten that even the King’s man, Hyde, could praise Cromwell, that Grant could honor Lee, or that Christ would ask forgiveness for His abusers as He hung from the cross. But then, such actions belong to the mature. Praise and redemption have no place among those blinded by their own hate-filled venom, a poison stored for the people with whom they disagree but one that slowly eats life from the bones of those who carry it. When all has been said, ideals should matter enough that we do not cast both violator and standard away. We could be depriving the one we condemn today to growth and betterment tomorrow. Tomorrow, that may even be us. The charity we show is vital to a healthy perspective on life and sound sense of proportion in all we do. History, and its importance to our futures, is no less immune to these forces. If we too hastily reject the blemish in someone we do not choose to better understand while we expect ample toleration for our failings and foibles, we fail them and we fail ourselves. When we deny that any good can exist (or be worth learning) where imperfections (as we deem them) reside – even very large ones – we will have the shock of our lives the day a mature perspective breaks through whatever is left of our prejudiced hearts, stunted minds, and calcified lives.